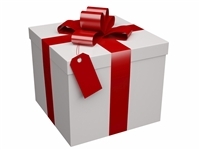 Great fishing gifts for anglers, the easy fishing gift selection that anyone would like - Gapen's Fishing Gift Department. Find fly fishing gifts, easy fishing gift - the Gapen fishing gift certificate and even limited edition fishing gifts. Our gift department i where for anglers, fishermen and friends . 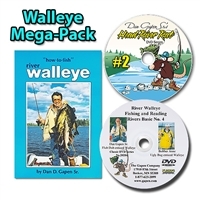 Get the ultimate fishing gift - the gift of Gapen for your angler. Anglers of any age or experience will love a gift certificate to Gapen.com where they can pick out their favorite flies, angling gifts, baits or even a great rod and reel. Dura Rod Holders for straight-line fishing or trolling! These great rod holders feature beveled edges to protect the cork handles of your rods. Staggered rod holes allow you to set your rods out at different angles! All hardware included to mount easily to your boat or party launch. Would work on dock benches or railings!! Save $30 - $60 on these cool rod holders. Act now to take advantage of Winter Ice Breaker Special Pricing for a limited time only save 85%. Quantities are limited, first-come, first served. Rain checks will not be issued when product runs out. 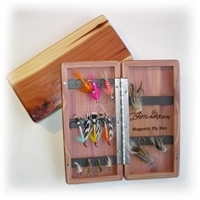 Bass Fishing Fly Kit - floating bass flies from Gapen. 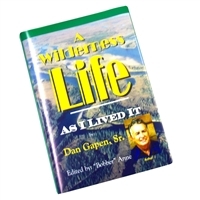 A Wilderness Life As I Lived It - Written by Dan Gapen, Sr. adventures and growing up in the Canadian Wilderness. Limited Edition Fishing Collectible - Inscribed by Dan Gapen, Sr. Personalized message text will be a guide for Dan to inscribe your book. Slight variations can occur. #ed Edition to 225. While supplies last. This limited edition fly fishing gift has been hand tied by Don Gapen - patriarch of the Gapen Fishing Company. Dan Gapen Sr.'s father - Dan, tied a small quantity of flies which have been placed in a rich, wooden shadow box. Gapen's elegant fishing rod cases host alternating strips of birch wood and walnut wood. Buy this wooden keepsake fishing gift as a holder for your treasured fly rod, bait casting rod or fly rod- the ultimate fishing gift for an angler.